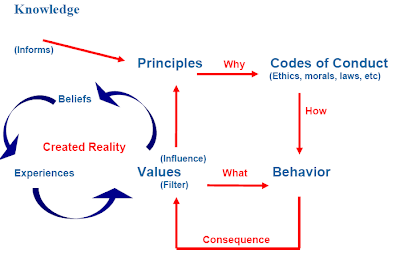 Minessence Values Framework [MVF] Knowledge-Base: How do we make those important decisions to ensure that they remain viable into the future? How do we make those important decisions to ensure that they remain viable into the future? All the decisions you make throughout life are based on the values you hold at the time you make the decision. Your values change when your worldview changes. Say you experience a significant emotive event that completely changes your worldview, then if you had made a decision before that event, and are now faced with that same decision you will make it differently because you now have different priority values.